Do you know The challenges in electronics assembly for the military and aerospace markets? You may know there are so many difficult to increase of the industrial economy. Read this article about The challenges in electronics assembly for the military and aerospace markets. You will get more deep on this topic. Audra Gavelis, director of marketing and investor relations at IEC Electronics Corp., discusses with SMT Magazine the current challenges in electronics assembly for the military and aerospace markets and the new requirements they are getting from their customers. She also talks about strategies in dealing with component obsolescence and lifecycle issues, new compliance issues that contract manufacturers are facing, and how they can ensure the quality and reliability of their products and solutions for the military and aerospace markets, because field failure is not an option. Stephen Las Marias: What do you think are the biggest challenges regarding electronics assembly for the military and aerospace markets? Audra Gavelis: It is dependent on where the product is in its lifecycle. For new products, companies are constantly innovating with new technology and engineering highly complex designs to meet the needs of their customers, especially in communications. We are constantly expanding our technical capabilities, applying our expertise, and helping them solve technical challenges when defining the manufacturing process. On the opposite side of the spectrum, many products have long lifecycles and therefore the challenge is providing them a robust supply chain in terms of sourcing components that may no longer be available. The electronics industry is evolving at a rate faster than our customer’s designs, therefore it critical to strategically source and work with our distribution partners to minimize lead times while ensuring maximum flexibility to work with their demands. Las Marias: What new demands are you getting from your customers? Gavelis: Continuing to minimize their supply risk while also maximizing manufacturing flexibility are probably the two largest demands. Two specific areas of focus have been in tin and counterfeit component risk mitigation in terms of product quality. In addition, particularly within the military and defense sector, program funding and forecasts are often volatile and unpredictable. Our customers are looking for us to be very responsive to their dynamic end-market demands. Las Marias: What are your strategies to address these issues? Gavelis: From a counterfeit risk mitigation perspective, IEC is the only EMS with an on-site Analysis & Testing Lab (ATL) that has been approved by the Defense Logistics Agency (DLA) for their Qualified Testing Supplier List (QTSL) program. What this means is that we have established quality systems to minimize the supply chain risk to our customers through risk mitigation strategies, processes, and capabilities. Having the on-site lab allows us to perform a wide range of tests required to ensure the appropriate inspection, test, and authentication (IT&A) methods are followed as outlined in DFARS 252.246.7008, which was issued in August 2016. The lab is ISO 17025 accredited and can perform destructive physical analysis (DPA) testing per MIL-STD-1580 as well as testing per AS5553, AS6081, and AS6171 which are other industry approved standards. IEC can be highly responsive to our customer’s end-market demands with its vertical manufacturing services. 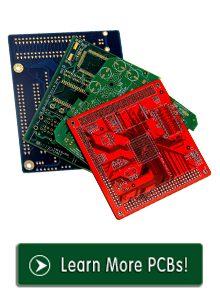 Beyond PCBA, IEC offers precision metal-working and interconnect solutions, allowing us to control the cost, time, and quality for our customer’s high-level assemblies. In addition, beyond manufacturing, we deliver a full spectrum of solutions such as design and test development including custom functional test design, reliability testing, high level assembly services, and logistics management to simplify our customer’s supply chain. Las Marias: What are the critical issues to consider right now for the electronics assembly supply chain for the mil/aero market? Gavelis: The critical issues facing the military and aerospace supply chain are volatile end market dynamics, industry compliance and lifecycle/obsolescence. Las Marias: Regarding component obsolescence, how do you ensure the availability of obsolete parts? Gavelis: Strategic sourcing begins with the product design just as much as the final delivery. We provide component engineering services with industry leading databases to assess component lifecycle and risk. If a component is identified as nearing end of life, we provide a strategic sourcing strategy, which may include a last-time buy, as well as provide an overall risk mitigation test plan if needed. The last step would be for our Analysis & Testing Lab to develop a full inspection, test, and authentication (IT&A) plan, including the option of screening commercial parts to an industrial component at our manufacturing site. Las Marias: What about traceability? Gavelis: Because IEC is involved in the medical sector, traceability down to the board/component level is an area in which we have a lot of experience in. 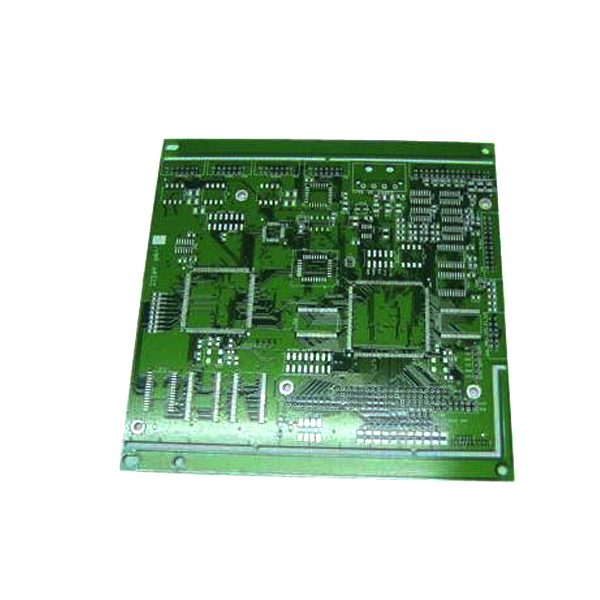 With A&D, using the DFARS as guidance, we are aligned with the three-tiered approach of sourcing electronic parts and can provide the expertise when recommending what type of inspection, test, and authentication may be required. Las Marias: How do you ensure the security and reliability of your supply chain? Gavelis: Supply chain programs and partnerships are key to ensure security and reliability for our customers. IEC has been in business for more than 50 years and has developed key strategic partnerships with trusted global distributors. Just as our customers demand excellence from their partners, we also hold our suppliers to high expectations because of the life-saving and mission critical products that we support. Las Marias: What about cybersecurity? What strategy do you have in place to address this issue? Gavelis: IEC is completing actions to be compliant with DFAR 252.204-7012 and flowdowns for contract data security. NIST SP 800-171 R1 and SP 800-53 R4 are large portions of the standard that will be required by December 31, 2017. The first DFARs controls in the works are called the Center for Internet Security (CIS) 20 Critical Security Controls (CSC 20). These are broken into 171 out of 277 DFARS controls that are applicable to IEC and are on track for completion by the required date. Cybersecurity is a very real thing for us at IEC. We treat our own and our customer’s data very seriously. Las Marias: How do you deal with OEMs' trust issues when it comes to fear of their roadmaps or strategy being shared with other OEMs? Gavelis: IEC understands that as with any relationship, it takes time and trust. When we first engage with a customer, we recognize that we are now an extension of their company. Our goal is to minimize their supply chain risk and deliver solutions to make them more successful. We show them that the small things matter to us just as much as it does to them. We recognize that we are a partner, not just a supplier. Over the years, IEC has developed several longterm customer relationships in which the trust has grown over time and it is a true partnership.